Cattaneo Commercial is pleased to report the sale of Unit 2 Horizon Business Village in Weybridge. 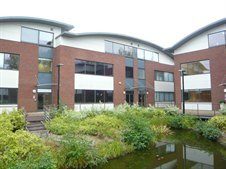 This 3,982 sq ft modern office building has been purchased by an international house builder for occupation as their UK Headquarters. If you are looking to dispose of your freehold office building in the Weybridge area please do not hesitate to contact Cattaneo Commercial on 020 8546 2166.